Softsens Baby Milk Bar is a delightful blend of love, natural moisturizers and gentle cleansers. 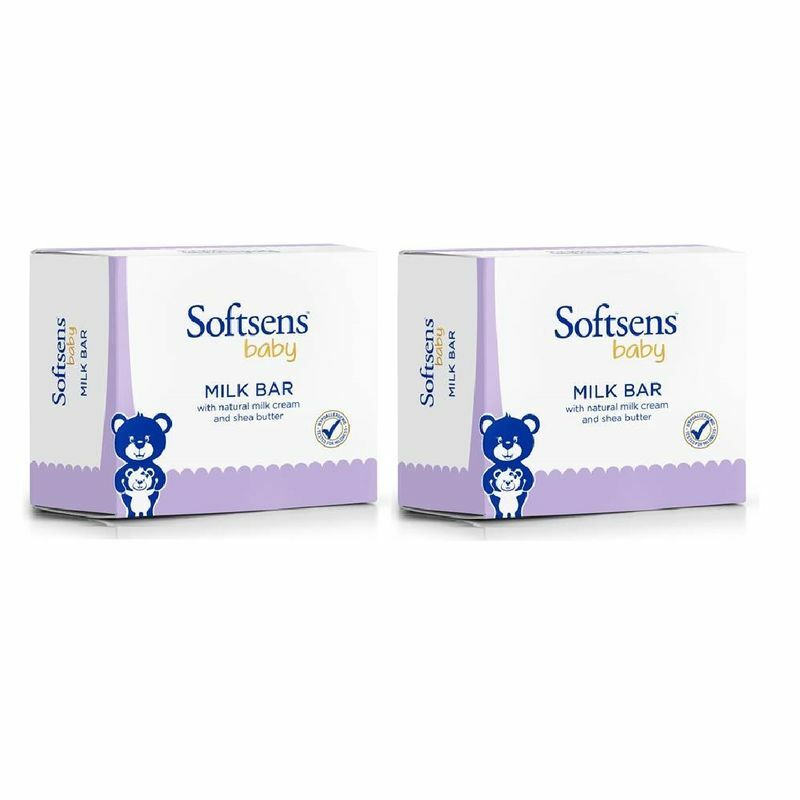 Enriched with Natural Milk Cream and Shea Butter, this Baby Milk Bar, gently cleanses delicate skin without drying it out, leaving behind nothing but a smiley, happy baby. WhatA s more? It contains naturally derived plant based essential oils of orange, lemongrass and Patchouli, which are commonly known for their cleansing and nourishing properties on skin. Infused with Natural Milk Cream and Shea Butter, which moisturizes delicate skin leaving it soft and smooth. Contains naturally derived plant based essential oils of lemongrass, orange and patchouli, which are known for their cleansing and nourishing properties on skin. Rich, creamy and soft lather; that helps to remove dirt and grime. An oval smooth shape that fits in your palm and glides smoothly on your baby's skin. Lightly Fragranced, which leaves your baby smelling fresh all day. Dermatologically Tested and Safe for use on baby.